A new generation-defining musical is putting millennials on a journey of self-discovery— to find a phone. #Drama. 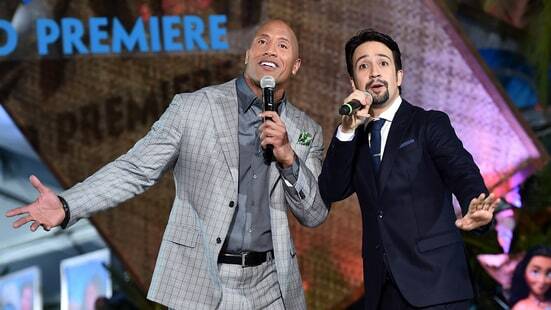 Millennials: The Musical is the latest brainchild of Moana collaborators Lin-Manuel Miranda and Dwayne Johnson. The show, which the pair teased last week on YouTube, is one part adventure, one part coming-of-age, but all wrapped in a satirical package. Dwayne “The Rock” Johnson and Lin-Manuel Miranda skewer millennial culture with the satirical musical short Millennials: The Musical. The pair previewed their collaboration with a mockumentary. In case you haven’t heard, Dwayne “The Rock” Johnson, this year’s Sexiest Man Alive, can really sing! Now that fans will get to see his performance in the new Disney movie Moana, Johnson’s taken his talent to the next level: producing his own YouTube musical. Johnson and Hamilton creator-star Lin-Manuel Miranda (who penned the songs for Moana) teamed up on the tongue-in-cheek project, titled Millennials: The Musical. The full show will be released on Johnson’s YouTube page on Nov. 29, but to whet fans’ appetites, Johnson released a mockumentary giving a behind-the-scenes look at the making of Millennials. “Lin and I had so much fun making Moana that we decided to produce our own Broadway show,” Johnson says in the clip, above. 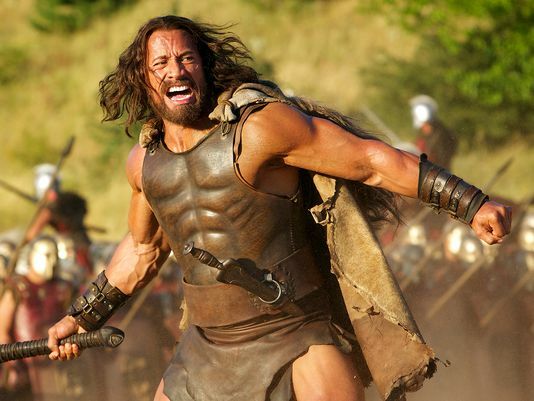 From the folks at Paramount and MGM comes this not particularly earth-shattering, but suitably loud and po-faced trailer for their upcoming take on the Hercules myth, starring pro-wrestling superstar, Dwayne “The Rock” Johnson (PeekYou profile here). Yeah, sure. Why not? Vince McMahon and his stable of “sports entertainers” at WWE have provided we good citizens of cyberspace with the bit of seasonal tidings embedded above. And below, we’ve provided the wrestling faithful among you with (an admittedly repackaged) gift of our own. Dwayne “The Rock” Johnson (PeekYou profile here) is, of course, a sometimes pro wrestler, and sometimes actor. He is also one of the most viewed profiles on PeekYou this week.